Bhagyashri Home Appliances Pvt. Ltd. These Compound Tools are manufactured using high quality raw material sourced from veritable vendors of the market. Our range is appreciated for being durable, qualitatively flawless, strong and high performing. 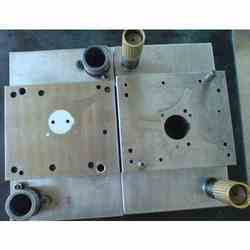 These tools apply force from different directions on metals with the use of hybrid compound dies. Being a quality-oriented enterprise, we are engaged in manufacturing a broad array of Compound Press Tool. With vast industry experience, we have been able to offer a comprehensive range of Compound Tools for manufacturing electrical lamination's ranging up to 700mm diameter within very low tolerances. These are well designed to meet customer requirements and manufactured using high quality tool steel. We provide a comprehensive range of Compound Tool, which is manufactured using high quality raw material sourced from veritable vendors of the market. With the continuous support and sincere efforts put by our experienced professionals, we have been able to provide our clients a qualitative range of Compound Press Tool. 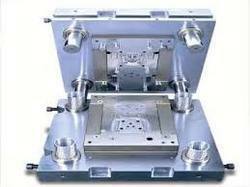 We offer compound tool wich is differs from progressive and stage tools by the arrangement of the punch and die. It is an inverted tool where blanking and piercing takes place in a single stage and also the blanking punch will act as the piercing die. Compound Dies can be used for selected parts. They can do multiple steps even though they are single hit. Additionally, they provide excellent part flatness.